The bacteria found in good kombucha (those that are scientifically checked and measured throughout the process and grown in clean bacteria controlled room from a tested skobys) are probiotic, not harmful pathogenic bacteria. Live cultures, provided by a good scoby, have shown they they can destroy some of the bad bacteria responsible for infectious diseases. Unlike supplemented probiotics taken through a pill, which can allow stomach acid to kill that bacteria before it reaches the intestines, kombucha actually helps deliver the probiotics directly to the colon. In case studies, kombucha proved antibacterial against staph, Campylobacter jejuni, E. coli, H. pylori, and two strains of Salmonella, as well as other commonly indicated bacteria in food-borne illnesses. Another antibacterial component in kombucha is acetic acid, created during fermentation. Acetic acid has a wide antimicrobial spectrum, allowing it to antiseptically kill many potentially harmful bacteria. As the role of the liver is to filter and convert harmful compounds, a healthy liver is important for digestion and overall health. The liver is good at naturally removing toxins from the body, however consuming antioxidants, such as those found in kombucha, can protect the liver from oxidative damage. A correctly brewed Kombucha is high in glucaric acid, which helps to detox the liver so that the liver can focus on detoxing the rest of our bodies. 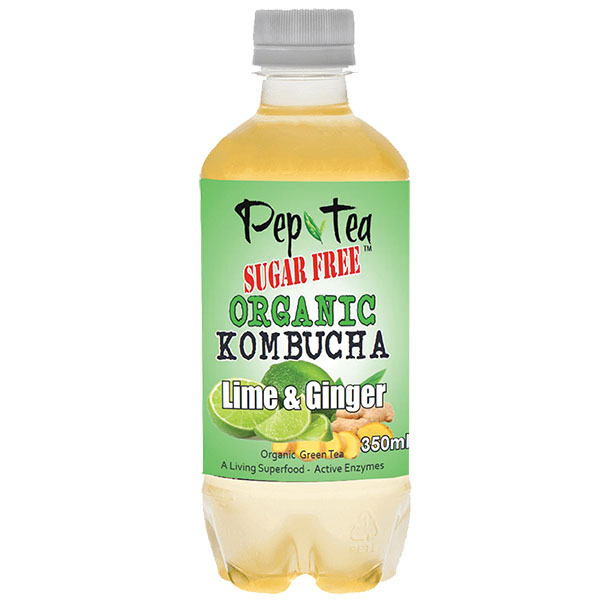 High quality kombucha that is low in Sugar, can help restore the balance in a candida filled gut. The key concept of kombucha treatment is understanding that kombucha contains beneficial yeast, rather than pathogenic ones like candida. As good bacteria re-populate the gut, candida yeast is crowded out of the digestive system with live cultures. This promotes body healing. 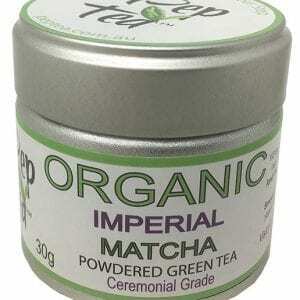 Polyphenols are the main antioxidants in tea. There is evidence supporting the role of polyphenols in disease prevention through fighting free radicals and oxidative damage. After fermentation, a scientifically balanced kombucha also contains bio-available antioxidants vitamins E and C.
Vitamin C significantly helps produce collagen, which can rejuvenateg the health and appearance of the skin. The vitamin C from kombucha can help fight skin damage caused by the sun and pollution, and may also reduce wrinkles, and improve overall skin quality. Properly brewed kombucha contains glucosamines, making kombucha anti-inflammatory. Glucosamines can help keep cartilage, the soft tissue that cushions bones in your joints, and keeps joints healthy. Over time, natural glucosamine levels drop, leading to a gradual breakdown of joints with aging. Approximately over half of regular kombucha drinkers report relief from joint pain. Other joint issues like gout have could improve through regularly drinking a good kombucha. Although mainly consumed for gut health, there are also known parallels between inflammation and depression. So, it is believed that the anti-inflammatory nature of kombucha may alleviate some symptoms of depression for an improved mental state. Gut health can also have a significant effect on brain health. Kombucha provides good probiotics that help regulate gut health, thereby helping to alleviate mental health issues. It is though that drinking kombucha helps regulate cholesterol levels by increasing HDL and decreasing LDL, the cholesterol linked with heart diseases. Also, kombucha may lower blood triglyceride levels. Having high HDL cholesterol and low triglycerides results in a lower risk for heart disease. Although cholesterol and triglyceride levels are influenced by lifestyle habits, diet, exercise, weight, and inflammation, drinking kombucha regularly could help protect the heart and regulate these disease markers. Scientists believe that altering gut bacteria can affect the uptake of carbs, thereby controlling blood sugar. Diabetes is one of the leading causes of death, so it is understandable that with so many people affected, looking for alternative treatment is desirable. 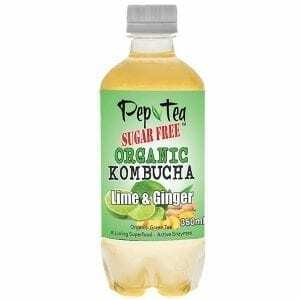 If you decide to look at kombucha as a way to regulate your blood sugar, make sure you using a true kombucha that is scientifically checked during the batch making and is a true a low sugar kombucha and only do in consultation with your doctor. 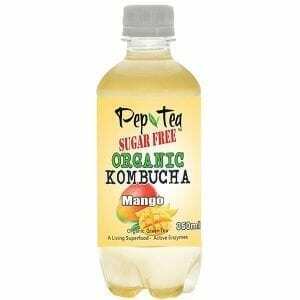 Disclaimer: Not all kombucha drinks are equal and as yet there are no definitive scientific studies that prove the specific health benefits of kombucha drinks. Also every kombucha is usually slightly different. 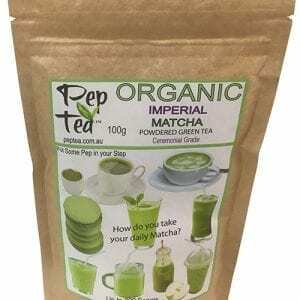 If you drink kombucha for its health benefits, then make sure you are at least drinking a scientifically controlled product that is consistently good. You can not get that from one a friend has brewed which could actually be dangerous to your health. 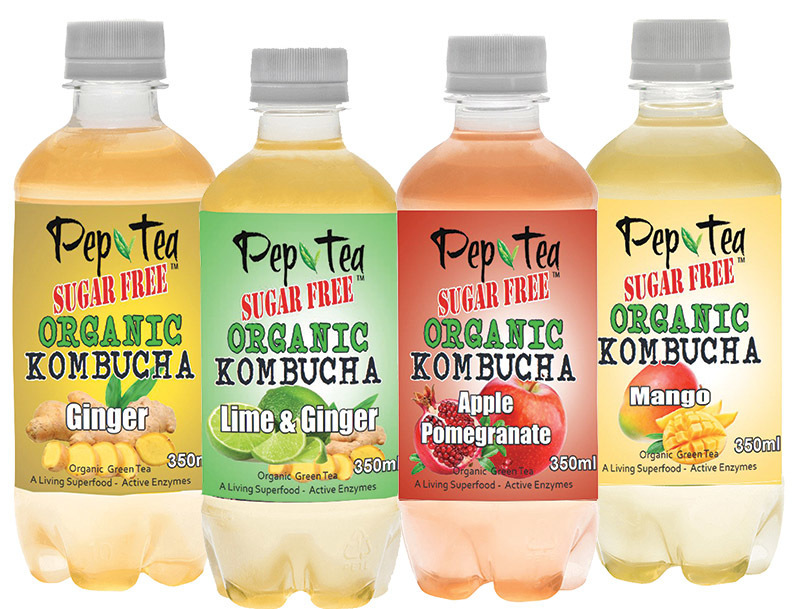 Get an authentic healthy and consistently good kombucha from Pep Tea and Put Some Pep in your Step.